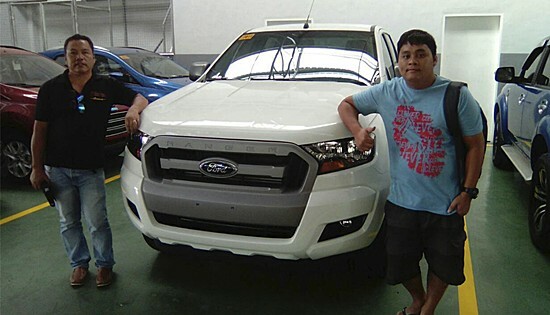 TAGUIG CITY – Forty-nine-years old businessman Reinario Polinar shares his experience in buying his vehicle of choice through an online car platform Carmudi. Completed P8M Off-carriageway Improvement along Naval-Caibiran Cross Country Road (NCCR). The completed project will provide a smooth riding surface for the traveling public as well as provide convenience in transporting agricultural and aquatic products to market centers. This road also leads to the only Provincial Hospital and Port of the Province. The project will benefit more or less 5,000 inhabitants of Barangay Calumpang and employees from Government Units working within the vicinity of the said Barangay. NAVAL, Biliran – Construction is on-going for the 30 of the 57 total listing projects of the Department of Public Works and Highways (DPWH)- Biliran District Engineering office under the FY 2017 projects. Engr. David P. Adongay, Jr. District Engineer reported that BDEO has already completed 21 projects as of June 30, 2017 with an accomplishment of 25.16% with a positive slippage of 5.76%. Just newly completed projects are the P10M Repair of Catmon Bridge along Biliran Circumferential Road (BCR), Naval, Biliran, P8M Off-carriageway Improvement along Naval-Caibiran Cross Country Road (NCCR), P2.5M Road Concreting in Brgy. Sagrada Familia, P.I. Garcia, Naval, Biliran, P1M Construction of Multipurpose Building (Barangay Hall) in Brgy. Acaban, Culaba, Biliran, P1M Construction of Seawall at Marvel, Culaba, Biliran and P1M Construction of Seawall, Sitio Marasbaras, Looc, Caibiran, Biliran. However, six projects under the FY 2017 Regular Infrastructure Program are Not Yet Started (NYS) and still up for implementation. Adongay revealed that these Not Yet Started Projects are just bid out while one project is for approval at the Regional Office and the other one is still on the process of preparation of Program of Work (POW), Detailed Unit Price Analysis (DUPA) and Plans. According to Adongay, once Notice to Proceed (NTP) is received, BDEO will fast track these projects to finish it on the target dates. Moreover, Adongay reported that for 2016 Carry-over projects, BDEO has already accomplished 96.048% as of June 30, 2017 with three remaining projects on-going and being fast-tracked. These are the P45M Construction of Slope Protection along BCR with 91% accomplishment, P8.7M Replacement of Banlas Bridge along Maripipi Circumferential Road with 95% accomplishment and Road Opening and Concreting of Biliran Diversion Road with already P75% accomplishment after problem on permit to enter has been settled. 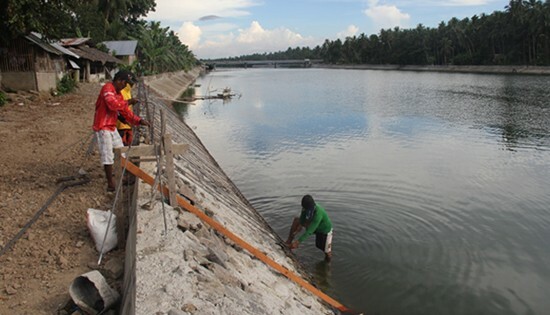 CALBAYOG CITY – The Samar First District Engineering Office (SFDEO) of the Department of Public Works and Highways (DPWH) is eyeing on the ongoing construction of the flood control structure along Jibatang River at Brgy. Lonoy, Calbayog City which is appropriated P100m under the DPWH 2017 regular infrastructure fund. Jibatang River is a stream and is located in Calbayog City, province of Samar. The estimate terrain elevation above sea level is 45 meters knowing that excessive heavy rains cause flooding, Jibatang River is described as one of the low-lying areas of the Calbayog District where in nearby Barangays particularly Brgy. Lonoy is greatly affected when water level rises. With this, safety and health conditions in here are jeopardized that is the reason behind the construction of flood control structure along Jibatang River (upstream) is highly recommended. The construction covers the drainage and slope protection structure with a project duration of 180 calendar days. The project is under GAA 2017 with 701.25 linear meters reinforced concrete river protection works on steel sheet piles foundation. It is under contract with B. Vicencio construction. This project is beneficial to the residents of Brgy. Lonoy and the other occupants who live near Jibatang River. It prevent flooding caused by heavy rains and changes of weather and it provides a safe living for the residents. One of local even said, ”Malaki ang maitutulong ng proyektong ito para sa amin, kundi dahil dito palagi kaming inaabot ng mataas na baha tuwing may mga kalamidad na dumarating”. The project intends to prevent flooding along the river side of the area especially during rainy seasons and high tide. This will surely provide safety towards the residents of Brgy. Lonoy. TORONTO, Ontario – Bombardier Commercial Aircraft delivered the world's first dual-class, 86 seat turboprop aircraft to Philippine Airlines at its facility in Toronto, Canada, where the aircraft is manufactured. "We congratulate Philippine Airlines for taking delivery of the world's first dual-class, 86-seat Q400 aircraft, and are confident that the airline will continue to benefit from the outstanding performance of Bombardier turboprops," said Fred Cromer, President, Bombardier Commercial Aircraft. "This delivery is an example of how Bombardier's Q400 is an ideal solution for airlines that require higher-performance and larger turboprops as they develop regional routes to meet increasing passenger demand. Bombardier is proud to have the only commercial turboprop available today to offer up to 90 seats." 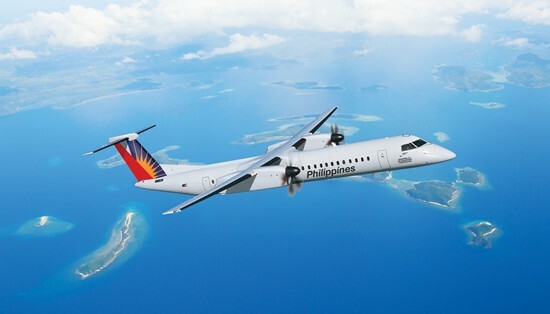 "With its superior performance capabilities, unmatched profitability advantages and exceptional passenger experience, the new Q400 aircraft will enable Philippine Airlines to increase its competitiveness and set a new standard for turboprops in the region," said Jaime J. Bautista, President and Chief Operating Officer, Philippine Airlines. "We are excited to bring this new aircraft back to the Philippines, and are confident that the Q400 aircraft will continue to play a significant role in positioning Philippine Airlines as a five-star airline and in regaining its dominance in the domestic market." Philippine Airlines' new Q400 aircraft is configured with 86 seats in economy and premium economy classes with a 29-inch and 33-inch seat pitch respectively. The aircraft delivered today is scheduled to enter into service in two weeks. This milestone aircraft is part of Philippine Airlines' purchase agreement announced on December 8, 2016 - which included a firm order for five Q400 aircraft and purchase rights for an additional seven. Following the exercise of the purchase rights announced at the 2017 International Paris Air Show, Philippine Airlines now has firm orders for 12 Q400 aircraft. 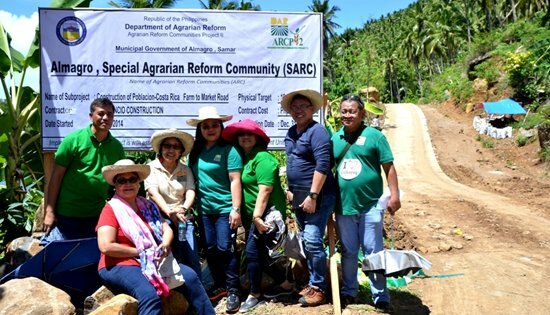 DAR officials from the central, regional, provincial and municipal offices pose near the billboard of the newly-inaugurated 12-kilometer farm-to-market road implemented under the second phase of the Agrarian Reform Communities Project in the island-municipality of Almagro, Samar. In the photo are (right to left) Engr. Cresencio Misagal, Rosario Regalado, Undersecretary Sylvia Mallari, Regional Director Sheila Enciso, Assistant Regional Directors Ma. Fe Malinao and Ismael Aya-ay, and Municipal Agrarian Reform Program Officer Pedrito Dejarlo. ALMAGRO, Samar – At P72-million, the 12.7-kilometer farm-to-market road turned over here recently by the Department of Agrarian Reform (DAR) makes it the most expensive single infrastructure project this agency has ever implemented in Eastern Visayas. DAR Undersecretary Sylvia Mallari led the inauguration and turnover of the said project in this island-municipality to the local government unit (LGU), a day after she turned over a similar project in another island-municipality in this province. Mayor Kathleen Prudenciado in her acceptance of the project implemented under the second phase of the Agrarian Reform Communities Project (ARCP-II) said “I believe development and progress (in this island paradise municipality) is so near for us to achieve”. According to her, the Almagrohanon had long been dreaming for a road that would cross this island. Further, Association of Barangay Captains President Jenesa Tomamak said “mararating na natin mula puno hanggang dulo na hindi dumadaan sa karagatan”, as villagers used to travel around the island through the sea that surrounds it using a motorboat. With this more than 12-kilometer road passing through the barangays of Poblacion, Malobago, Roño, Tonga-Tonga, Lunang, Talahid, Costa Rica-I and Costa Rica-II, Tomamak disclosed that not only farmers and fishermen’s products could be easily transported now, but these once remote areas could already be penetrated in the delivery of other government services as well. About 8,000 residents in these areas with 450 agrarian reform beneficiaries (ARBs) are expected to benefit from this project. With this road, no place is isolated anymore, Mallari added, and hoped quality of life in this town, identified as a special agrarian reform community, would continue to improve. Meanwhile, Regional Director Sheila Enciso explained the reason why the cost of the project was so high was because of the excavations that took place in the opening of the road. The cost was shared by the LGU and the national government thru a loan from the Asian Development Bank. Thus, Enciso reminded the recipients to maintain it in good condition for 10 years. Otherwise, the loan portion comprising 40 percent of the total cost will likewise be shouldered by the LGU. Ambassador Charles Jose delivers his remarks during the masquerade tea party, attended by Filipino community organization leaders and representatives. 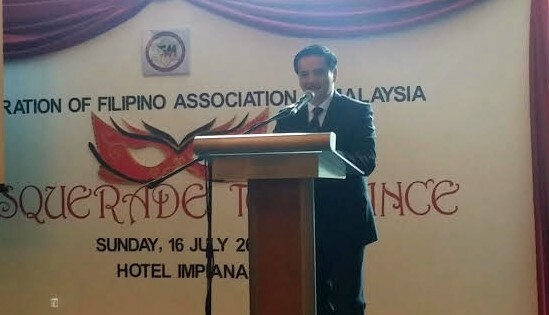 KUALA LUMPUR – The Philippine Embassy in Kuala Lumpur and the Federation of Filipino Associations in Malaysia (FFAM) mounted a fundraising and a letter-writing effort for those displaced and the soldiers in Marawi during the FFAM’s Masquerade Tea Party held on July 16 at the Impiana Hotel in Kuala Lumpur. Philippine Ambassador to Malaysia Charles C. Jose lauded the FFAM’s initiative in helping out those affected by the conflict. “I commend FFAM for initiating this event to raise funds to help out our brothers and sisters in Marawi, as well as for your letters of support to boost the morale of our soldiers there,” he said. The tea party featured performances by Filipino-Malaysian singer Aloysius Cornelius Sisek and Malaysia-based Filipino band Harmony and Rhythm, raffle draws, a fashion show and auction featuring creations by Filipino accessories designer Gina Frias and a Best Dressed contest to award those who came to the party in their best attire. During the event, the community raised RM5,500 (around PhP65,000) in raffle ticket sales alone, with the proceeds going to those displaced by the conflict. The Embassy will send the letters and postcards from the community to the Department of Foreign Affairs for onward transmittal to the frontlines. Present during the event were FFAM officers led by its president Vergie Alvaro, members of the Filipino community and Embassy officers and staff. The event is the first of a series of fundraising efforts to be undertaken by the Filipino community in Malaysia for those affected by the Marawi conflict. 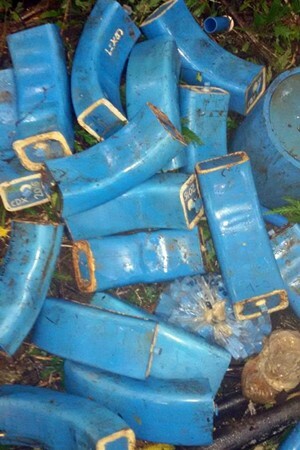 CAMP LUKBAN, Catbalogan City – Combined efforts from 801st Infantry (Bantay at Gabay) Brigade and 87th Infantry (Hinirang) Battalion with other intelligence units recovered 19 anti-personnel Improvised Explosive Devices (IEDs) technically known as CDX-2016 and other IED paraphernalia during a strike operation on Monday afternoon July 10, 2017, between km. 14 and km. 15 at Barangay Guirang, Basey, Samar. Gathered information revealed that these IEDs will be used by the communist terrorists in launching their tactical offensives before and after the State of the Nation Address (SONA) of the President on July 24, 2017 to cause alarm and catch attention against the administration and use against military and PNP troops operating in area of Basey, Samar. The successful recovery was the result of the community effort against these terrorists who were already tired from threats and extortions in their barangays. Maj. Gen. Raul M. Farnacio, Commander 8ID said in his message: “We condemn the communist terrorists in their continuous manufacture and use of IEDs against humanities which is a clear violation on the provisions of the Comprehensive Agreement on Respect of Human Rights, International Humanitarian Law and rule of law. We commend the community of Basey for helping us recover these IEDs and we are looking forward for continuous partnership that could help us in preventing the evil activities of these terrorists towards the attainment of peace and development in whole Eastern Visayas,” Farnacio added. 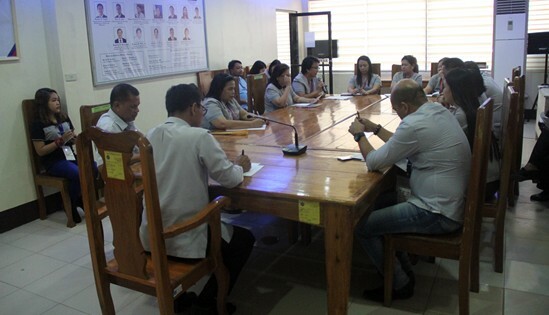 CALBAYOG CITY – In line with the department’s thrust to standardized processes in the District Engineering Offices, the District Offices nationwide are directed to prepare for the ISO certification complying to the requirements of ISO 9001:2015. After a series of ISO Awareness Activities starting with the benchmarking in the pilot district of the region, the launching of Samar I’s ISO journey and various orientation and readings, the Samar First District Engineering is subjected to an Internal Quality Audit (IQA) by Auditors from DPWH-Central Office together with other district offices nationwide this July to August 2017. The IQA will determine conformance to the DPWH documented quality management system and to the requirements of ISO 9001:2015; verify legal compliance, and determine area for improvements in all processes. IQ Auditors do an extensive auditing of all processes and requirements in all sections and units of the district trying to point out conformities and present areas for improvement. The audit wind up with the discussion of the auditors and key officials of the recommendations made to fully conform to 2017-19 ISO 9001:2015 which will be conducted by the third party second semester of this year. Participants of Biliran District Engineering Office (BDEO) together with Engr. David P. Adongay Jr. (3rd from L), District Engineer pose with BDEO Muse Representative, Ms. Malou A. Bernadas (4th from L) before the start of the sportsfest activities. 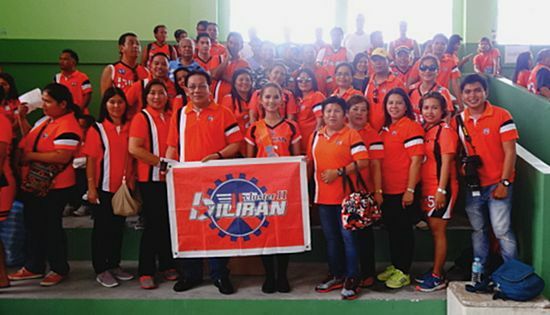 NAVAL, Biliran – The employees of the Department of Public of Public Works and Highways (DPWH) – Biliran District Engineering Office (BDEO) actively participated on the DPWH Sportsfest activities in commemoration of the 119th DPWH Anniversary Celebration with this year’s theme: “Kapayapaan ay Bigyan Daan, Upang Kaunlaran ay Makamtan”. Various activities were lined-up on a two-day event from June 22-23, 2017. 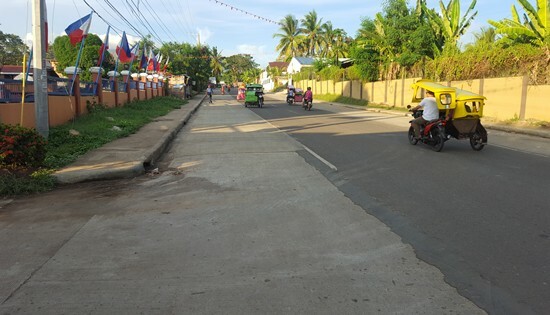 It was kicked off with a grand parade from 13 District Engineering Offices including the Regional Office en route from DPWH RO passing through DepEd-DOH-Leyte Provincial Hospital – Pawing Elementary School and to DPWH Equipment Management Division (EMD) where a thanksgiving mass followed. Director Edgar B. Tabacon, CESO IV formally opened the celebration as he warmly welcomes the delegates of the sportsfest activity. Participating Engineering Offices were clustered into four categories. Cluster 1 were composed of Regional Office, Tacloban DEO, and Leyte 1st DEO; Cluster 2 were Biliran DEO, Leyte 2nd and 3rd DEO; Cluster 3 were composed of Southern Leyte, Leyte 4th and Leyte 5th DEO; while Cluster 4 were composed of the Northern Samar 1st and 2nd DEO, Eastern Samar, Samar 1st and Samar 2nd DEO. The Presentation of Participants and Muses by each clusters sets the fun and excitements from all the participants followed by the Raising of Colors by cluster head and their muses which was won from Cluster II. The Oath of Sportsmanship followed led by Mr. Chito Nelson O. Eusores, President of Leyte 1st RFEA. By Regional Directors Choice, Ms. Maria Efrason Pereña from Leyte 4th DEO bested other district contestants for the Best Muse. The awarding of the Best Muse was done by the Regional Director followed with the ceremonial toss of the basketball at the covered court of Leyte 1st DEO by Director Tabacon together with Assistant Director Armando G. Estrella, CESO IV which signals the start of the sportsfest activities. Among the games played on the opening day were basketball, volleyball (men and women), badminton, table tennis, dart and chess which were held from different venues. On the same day, Photo Exhibit Booth Contest and Food Trade Fair open at the Multi-purpose hall of the Regional Office and a Laro ng Lahi Game Competition was played. The second day of the celebration starts with the 4th Unity Run at 4:00 AM which directly followed with the awarding of prizes for the Fun Run activity. Championship games also continue on the second day for the basketball, volleyball (men and women), badminton, table tennis, dart and chess until afternoon. The Search for Ms. DPWH 2017 competition which is one of the highlight of the celebration started at 3:00 PM which holds until evening. Winners in the different competitions such as the photo exhibit contest and the overall sportsfest champion were also announced during the said pageant. Before the night ends, the muse from Southern Leyte District Engineering Office was hailed Ms. DPWH 2017. The 119th Anniversary and Sportsfest Celebration ended with a fellow ship night and a Curatcha Dance Competition.